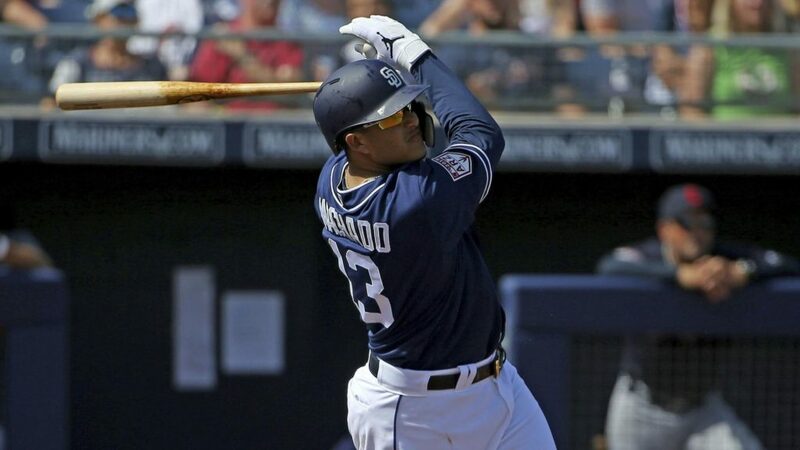 Part one of the San Diego Padres preview. Will the Padres have a successful 2019 season? Padre fans have more reason to be excited than they have been for over a decade. After an offseason that seemed to go on for years, they signed a marquee free agent to fill one of their biggest needs and add to a very talented group of young ballplayers. But what can fans realistically expect from the team that A.J. Preller built? 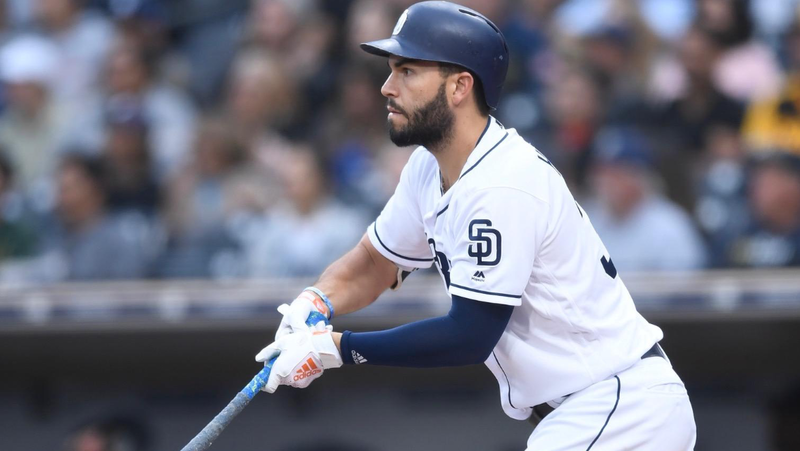 Following is the first of a three-part preview on the Padres’ 2019 season. In this first part, we will look at the reasons for optimism. In part two, we will examine areas of continuing concerns for the San Diego franchise. And in part three, we will predict how many wins the Padres will accumulate, based upon the most important intangibles. So, without further ado, let’s look at the reasons to be optimistic about the 2019 Padres. Manny Machado: Where else could we possibly start? 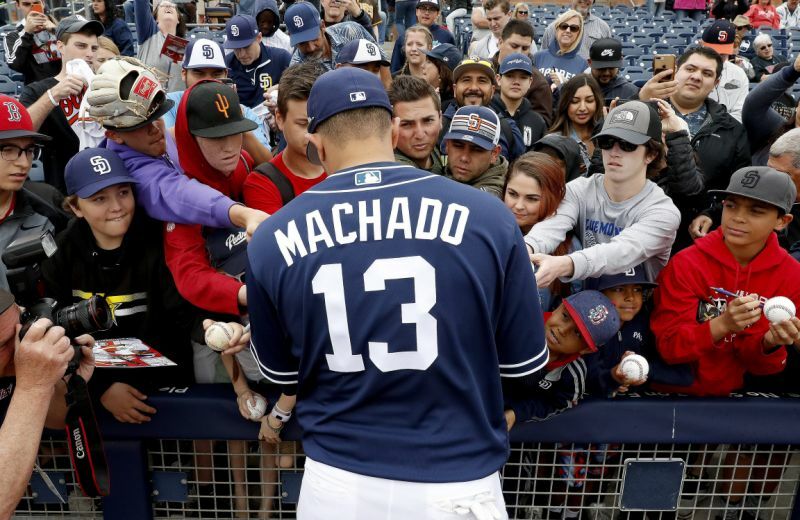 The news of his signing lit up the Padres universe and brought excitement to fans that has been missing since the days of Ken Caminiti and Steve Finley. A former first-round pick (third overall) by the Baltimore Orioles in 2010, Machado was in the big leagues to stay just two years later. His lifetime slash of .282/.335/.487 with a 121 OPS+ doesn’t fully describe just how lethal his bat can be since he will only now be entering his prime years. And since 2015, he has averaged 35 homers and 96 RBI with a .511 slugging percentage and a .856 OPS. He has also made three All-Star game appearances and twice finished in the top five in MVP voting. There’s more: Machado has also won two Gold Gloves for his defensive prowess at the hot corner, and he has a 23.2 WAR since 2015 (according to baseball-reference.com). His signing represents a massive upgrade at third base and sends a huge signal to fans that Padres ownership is serious about winning. An improved starting rotation: In short, the Padres starting pitchers have nowhere to go but up after a miserable 2018 season. Gone are journeymen Clayton Richard (7-11, 5.33 ERA, -1.2 WAR, but 0-3 with a sky-high 8.57 ERA in seven second-half starts) and Tyson Ross (who was solid until a disastrous July, where he had an atrocious 8.87 ERA and a 1.84 WHIP). Young starters Joey Lucchesi (8-9, 4.08 ERA with 145 K’s in 130 innings) and Eric Lauer (6-7, 4.34 ERA, but with a 3.15 ERA and a .223 BAA in seven second-half starts) headline the rotation. After that, they are not short of potential candidates to fill out the rotation, with arms like Matt Strahm, Robbie Erlin, Bryan Mitchell, Jacob Nix, Brett Kennedy, and top prospects Chris Paddock, 23, and Logan Allen, 21. Paddack’s big league debut is especially anticipated, given that he went 7-3 with a 2.10 ERA and a microscopic 0.82 WHIP, yielding just eight walks In 90 innings (! ), with 120 punch-outs in 21 starts at Single-A and Double-A. He has also been very impressive this spring. Allen went a combined 14-6 with a 2.54 ERA and 1.08 WHIP at Double-A and Triple-A and should compete for a spot in the starting rotation. The Padres are also anticipating the mid-season return of Dinelson Lamet, the right-hander who missed all of last season due to Tommy John Surgery. While there is not a clear-cut ace (more on this next time), fans will get lots of opportunities to see plenty of top-notch pitching talent in 2019, and even more to come in the following years. The Bullpen: A strong bullpen has been a long-standing Padre tradition, and 2019 figures to be no exception. Kirby Yates returns as the closer — a role he inherited from Brad Hand, after his mid-season trade to Cleveland. Overall, he saved 12 games in 13 opportunities, in addition to 16 holds with a 2.14 ERA and a minuscule .181 BAA, and 90 strikeouts in 63 innings. Craig Stammen returns as the primary set-up man. Last year, he appeared in 73 games (79 innings), and he held the lead 23 times. Phil Maton, Robert Stock, Trey Wingenter, the recently acquired Adam Warren, and possibly Strahm will see time in the bullpen as well. A Promising Middle Infield: Just imagine: at some point this season, Padre fans will regularly see Machado at third base, the uber-talented Fernando Tatis Jr. at shortstop (.845 OPS in 274 minor league games), and the on-base machine Luis Urias at second base (.397 OBP in 467 minor league games). As has been his career pattern, Eric Hosmer should rebound for a solid season. Until Tatis is ready, veteran Ian Kinsler will fill in at second with Urias sliding over to short. Kinsler, 36, has seen his offense slide in recent years (87 OPS+ in 2018), but he won a second Gold Glove last year. He also provides excellent intangibles as a leader, as well as World Series Championship experience (Red Sox, 2018). A Strong Backstop: Austin Hedges is one of the best defensive catchers in the NL. Unfortunately, his bat has always lagged far behind. His 2018 slash of .231/.282/.419 and his 94 OPS-plus were all career highs. But his July OPS of .905 showed some promise. Hedges’ competition for playing time is the young Fransisco Mejia. At 22, he is currently the 26th ranked prospect according to MLB Pipeline, and the Padres had to part with Brad Hand and another reliever to get him. While Mejia impressed early on by hitting two home runs in his first start with the Padres, he did show that there is still room for growth, as he hit just .185 with 19 strikeouts in 54 at-bats. Granted, that is a small sample size, but it does show that he needs regular playing time to continue to develop his skills. Given his youth, the Padres may decide to start him at Triple-A El Paso, and then bring him up at a later date. But whatever management decides, it is clear that catching remains a position of strength. A Loaded Outfield: If the National League were to adopt the Designated Hitter rule, the Padres would benefit more than any other team. That is because they have several potential starters to fill three positions. Whatever option they choose, there is a lot of talent there, and the healthy competition will keep the possible starters on their toes. Conclusion: For the reasons given, 2019 is going to be an exciting year. But does that mean that they are World Series-bound as is? Stay tuned for part two of this Padres preseason preview to see what potential challenges remain. 1) Clayton Richard played on 2 bum knees that required surgery. He should have been shut down much earlier. After all the team was going nowhere. This is on Andy Green. 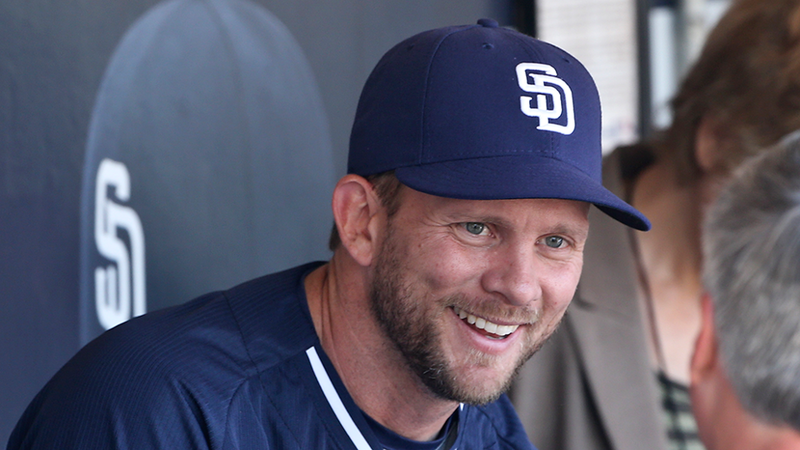 2) Tyson Ross was fine until Andy Green left him in for 127 pitches pursuing a no-hitter. He melted down after that start. After all his operations, especially thoracic outlet surgery, his manager should have been more concerned with protecting Ross’ health. 3) If the OF is Renfroe-Myers-Reyes, boy is that going to be bad defensively. It would also mean the club was giving up on Margot. This would be up to Andy Green, perhaps we can detect a pattern here. With greater expectations should come greater pressure. Green has gotten a pass up til now. His teams have quit at times, and not always played hard. His 2015 team had a crap clubhouse culture, partly because he either didn’t know about, or didn’t address the cancer Derek Norris quickly became. He chose McGwire as his bench coach, only to see the younger players and veterans tune him out, turned off by the one-time steroid users relentless intensity. He has not straightened out Wil Myers. Well, the clubhouse atmosphere is the manager’s job. 2019 should be the year when Andy Green’s performance is held to a higher standard. No, wait. 2015 was still Black. My bad.